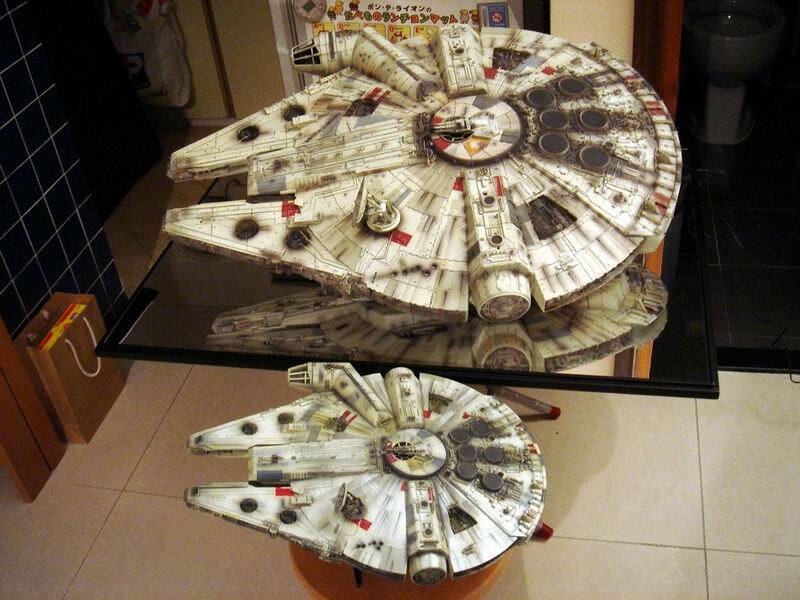 Master Replicas Studio Scale Millennium Falcon. At about the same time that the Attakus Falcon came out, Master Replicas also released their Studio Scale Version based on the actual filming model used in The Empire Strikes Back. It was 32 inches long and had working lights in the cockpit, engine and front mandibles. A very cool piece, and expensive. The Regular version was $2200 and limited to 1500 pieces. There was also a Signature edition with a plaque signed by none other than Harrison Ford himself. This was a little more expensive at $2800 and limited to 500 pieces. (I am led to believe that this is the only time that Mr. Ford has officially signed any Star Wars Merchandise.) I wanted it, but always preferred the Attakus one. Anyway, a lot of people must have cancelled, because a second oppertunity arose to get the Signature Edition [SE] version. This was a second chance at a once in a lifetime collectible. I had to get it. Well, it cost $2800, plus $800 to ship to the UK, plus an extra £400 in tax. Altogether she cost me £2396. As i said, the most expensive version of the Falcon in my collection, but also arguably the best. It’ll be a long time, if ever, before anything comes along that can even match this, let alone surpass it. Yes, there are issues with the lighting etc, but it’s still a great piece. The internal cockpit detailing was also a card insert which i found to be a little cheap considering how expensive the model is. I haven’t even taken a look at mine. It’s still in the box in storage. I still need to source an acrylic cover for this so that i can display it without fear. I have seen a case that’s someone had made up to transport theirs. Very cool. These are starting to settle now with their final owners, but i reckon that this is a very saught after grail piece for Star Wars collectors and it does give huge bragging rights. There were a lot of issues with faulty or loose wiring for this model that meant the lights would stop working after a while. Don’t let that hold you back from getting one if you have a chance though. I was looking through ebay and found a Limited Edition one up for auction. 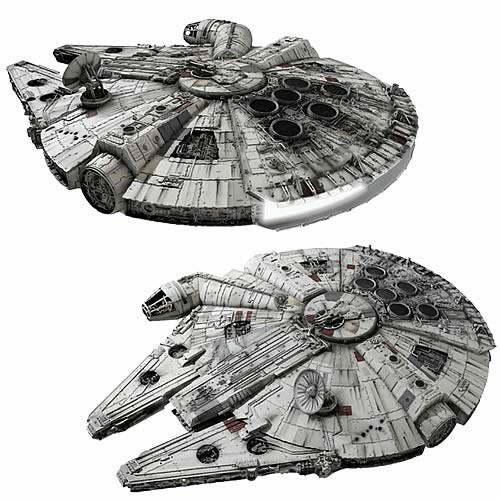 http://cgi.ebay.com/MASTER-REPLICAS-MILLENNIUM-FALCON-LE-/230523745751?pt=LH_DefaultDomain_0&hash=item35ac4935d7. Just in case anyone wants to start bidding. This entry was posted in High End Collectables, Master Replicas. Bookmark the permalink. 2 Responses to Master Replicas Studio Scale Millennium Falcon. Thats two great Falcons.That EFX one is going to make a nice trio. Yeah, when it’s finally released. I need to add the code 3 one also. It may not be up there with the others, but it’s what got me started.